While I was consuming guac the other day (who's surprised? ), I realized it's pretty obvious how much I love avocado toast, given that I talk about it on the blog at least once a week. I've been in New York a lot this year, and I always make avocado toast a brunch priority during my time in the city. 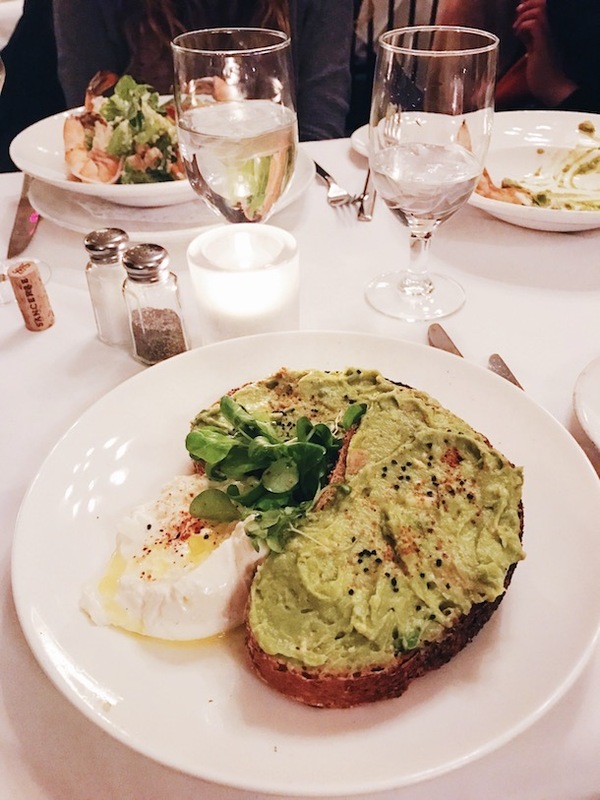 What's better than an avocado toast guide in one of the best cities in the world?! Most recently I was at Felice. I've never had a better poached egg than here, making this toast really stand out. Atop a slice of crunchy sunflower seed bread loaded with smashed avocado, it was even better. I've been here twice and I will go back a million times for Little Collin's avocado toast! The feta and pepitas (pumpkin seeds) are such a unique touch of flavor. The tiny shop atmosphere really feels like London, too. The first time I had this avocado toast was for dinner after having avocado toast for lunch the same day, and it was 110% worth it. The burrata on top was to die for. Although I've only been here once and I didn't actually order the avocado toast, Jack's Wife Freda has an incredible atmosphere and their other food is amazing. I'm sure it would not disappoint. 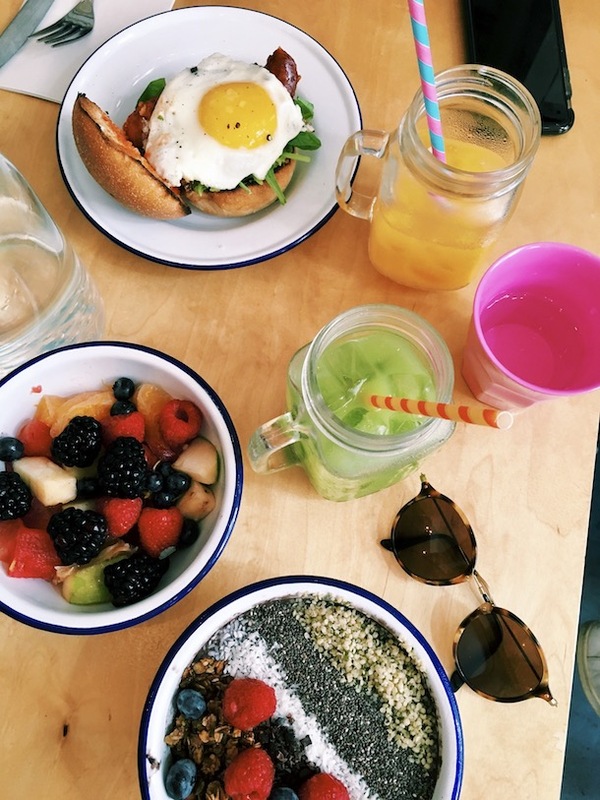 Same goes for Two Hands; I didn't order the avocado toast (I opted for an acai bowl), but my dad and I both loved this healthy and trendy breakfast spot, which is definitely a good sign. I've been raving about the Butcher's Daughter on Instagram for a couple weeks now, and I really want to go back for their toast. I had their "veg" sandwich which was loaded up with good veggies and avocados, so I know that they can work their magic with the avo's. byCHLOE is all over Instagram, and rightfully so. The little spot in the West Village is so aesthetically pleasing, it's no wonder that celebs stop by here for vegan breakfast; avocado toast with cherry tomatoes included! Two toasts I definitely want to try: Bluestone Lane and Cafe Gitane. 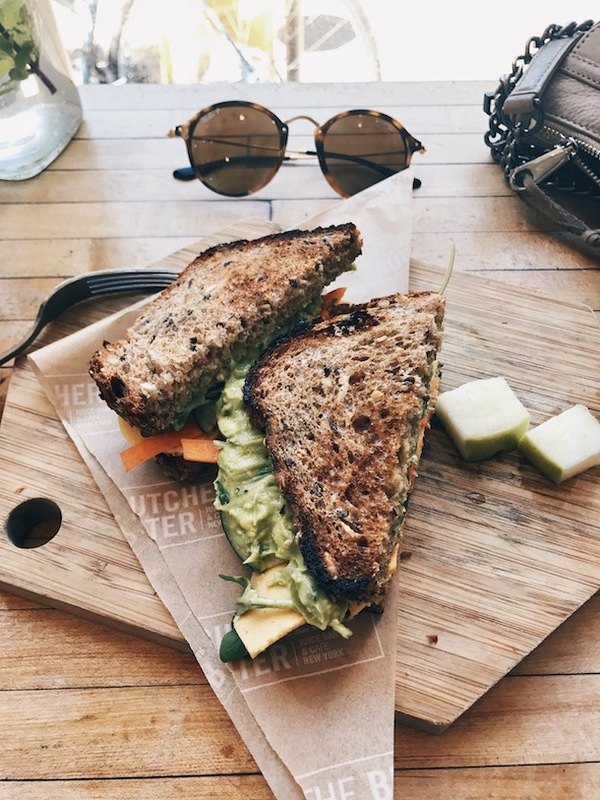 What's your favorite variation of avo toast!? Are you an avo addict like me? you HAVE to try the avo toast at Le Pain Quotidien! It was actually the first place I ever had avocado toast after being inspired by your love for it in a pic on your Instagram and became obsessed. They have numerous locations around NYC which have a cute cafe vibe and it's a great place to grab food and sit to do work. Plus, they serve their lattes (which are delicious) in literal bowls. bluestone lane is awesome and SUPER aesthetically pleasing and try the aussie latte/aussie iced chocolate! the avo toast at the andaz hotel on 5th ave is to die for!!! it's very simple but so good!!! I need to go to NYC for the vegetable sandwich from The Butcher's Daughter. It looks amazing. The bread is gorgeous. Do you have any photography tips? The pictures are beautiful.